I remember spending hours shopping with my best friend for the perfect high school senior year planner. Yes, I was a nerd. I loved my planner. We would write so much there was barely any white space left. I basically used it as a journal as well. I still have them to this day and can't part with them. I kept planners through college but when I started my first full time job out of college, I stopped using them. Fast forward 10 years...I need it back! I use Google Calendar for all work related stuff, and love syncing my calendar with my husband's for travel days, doctor appointments, etc. And even though I use Google Calendar on my phone, there is something about writing stuff down and crossing it off that has instant gratification. There's a pocket in the back for loose notes, receipts, etc. My only dislike is the thickness/size. It does add a bit of weight to my laptop bag, but I'm willing carry it so my planner is with me. If you want a $10 coupon code, please leave your email below or tweet at me, and I'll send you a coupon code! 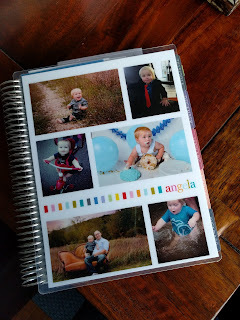 I LOVE my Erin Condren planner! I have to get my 2016 one ordered soon, I just got my first date for January! I love anything with stickers :). This sounds like a good tool for 2016. I'm a fan of the paper planner too even though I use Google Calendar for my day-to-day stuff. I love the idea of a paper planner. 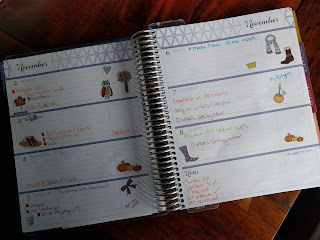 I too use Google Calendar but love the idea of having something to write in that you could be more creative with. It would make a great way to keep a brief diary of your days if you didn't want to use it as a calendar. Thanks for sharing. This looks like a very cool planner. I love the sections and the stickers! Time of the year to get new planners ready. Thanks for sharing this. I might buy one for myself soon! I used to have a Franklin Covey planner with me all the time but haven't used a written one in years delegating it to Google Calendar on my iPhone but I somewhat miss the confidence of knowing everything was written down in ink in front of you people get with a print calendar. 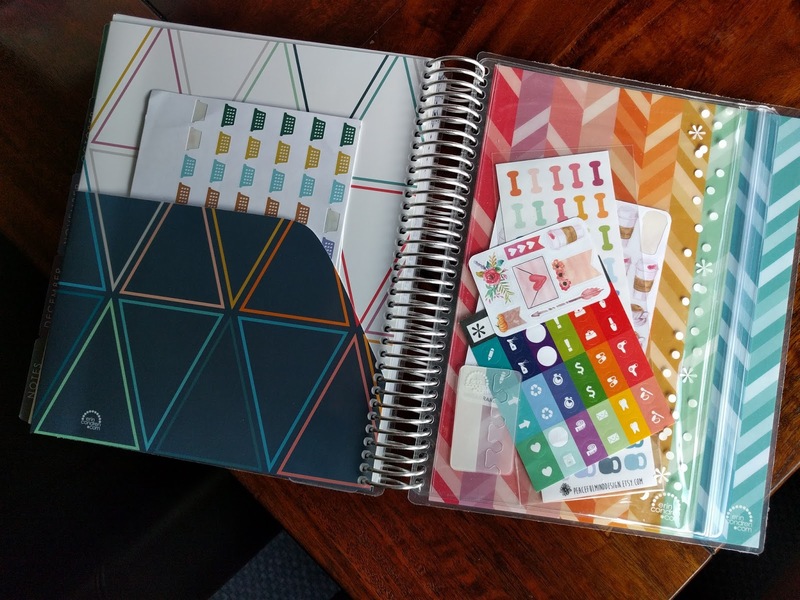 This Erin Condron planner looks like a nice option to have a print option to work with rather than just going digital. I've been hearing about these a lot lately! I just bought a planner at Target and I love it to keep myself organized. As much as I'm a techie person, I love writing everything down on paper. Erin Condren planners are pricey, but worth it. I love mine and will probably always keep a written, hard copy planner instead of a virtual one, so to speak. PLANNERS FOREVER!